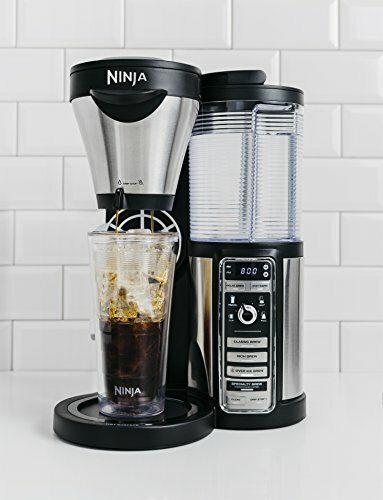 Home » How Does the Ninja Coffee Bar Compare with a Keurig? 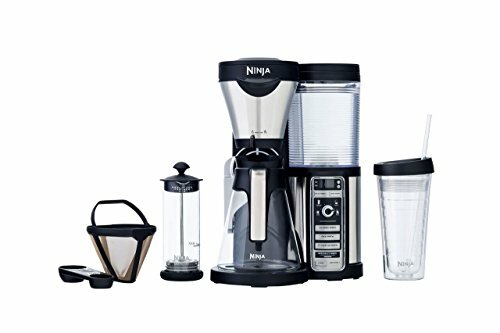 How Does the Ninja Coffee Bar Compare with a Keurig? Ninja Coffee Bar just sounds cool. You might not have a clue what it is, but its name tells you to expect something amazing. How cool is that? The cup even looks like it’s floating in mid-air. I know my love of coffee ranks high near love of spouse and children, but to me, this machine is a caffeinated work of art. 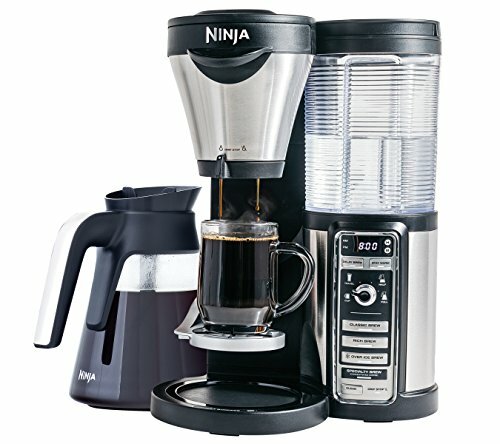 So, what exactly is the Ninja Coffee Bar, and how does it rank compared to the Keurigs of the world? 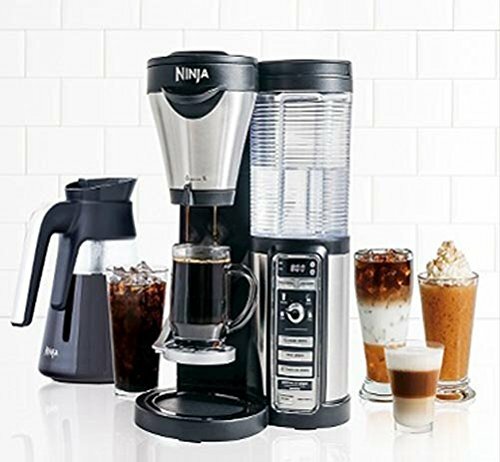 Let’s first discuss what the Ninja Coffee Bar is, and then we’ll compare it to a similar Keurig model based on its specifications, and we’ll check in with the Coffee Brigade to see what they think. The Coffee Brigade is a group of online coffee enthusiasts that leave detailed reviews on all-things-coffee from brewers to beans to help their brethren brew that perfect cup. They care enough only to recommend the very best and help you avoid the worst when purchases don’t meet their expectations. Instead of you scrolling through hundreds of reviewers to read about their real-world experience, I will do it for you. You’re welcome. How Does the Ninja Coffee Bar Compare to a Keurig? Price: $140.15 with glass carafe, $137.93 with thermal carafe, but you can always check here for the latest discounts and prices! This image says it all: The Ninja Coffee Bar is a one-stop-shop for all things coffee. For the sake of this review, I will focus on the first machine: the Carafe with Pod-free Single Serve. It includes an 18 oz. Hot and Cold Tumbler, Glass Ninja Frother, 40-recipe cookbook, permanent filter, Ninja coffee scoop, and 43 oz. glass carafe with a warming plate. The multi-serve dial lets you choose a size for a cup, travel mug, half carafe, or full carafe. Thermal Flavor Extraction Technology allows you to choose your brew: classic, rich, over ice, or specialty. The warming plate has an automatic 2-hour shut-off. 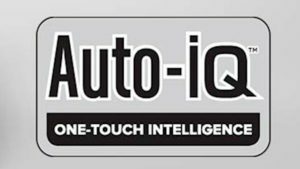 You simply choose a size, a brew, and the Auto-iQ takes care of the rest drawing the right amount of water to brew to your exact specifications. What’s great about the Ninja Coffee Bar is you can make whatever coffee-based concoction on demand without using pods like Keurig-based brewers. Instead, you use grinds in the Ninja’s reusable filter just like you would in any carafe-based brewer to create your custom cup. Fresh grounds make the best cup of coffee, and there is nothing fresh about pod grinds. They have sat in sealed capsules for weeks, sometimes more, before it’s time to brew. Any coffee drinker knows it’s best to brew immediately after grinding coffee beans or you wind up with a bitter brew. Pods can be expensive, and to please a crowd, it’s difficult to have the right variety available. With grind-based machines, you can customize each cup using a variety of beans you can freshly grind before you brew, and use coffee-house luxuries like flavor shots to enhance each drink. Using grinds is better for our planet. Many coffee drinkers don’t like the amount of trash that comes with owning pod-based machines, and seek out other alternatives to brew single cups. In the past, many homes and offices have relied on Keurig machines, or those like it that are pod-based, to offer a convenient cup of coffee to guests. The Ninja Coffee Bar fulfills that need by creating a more sustainable solution than a one-cup-at-a-time machine. I am so grateful for the online coffee community that cares so much about creating that perfect cup they write extensive reviews about the best, and worst, products they find. When over a thousand people give it an average of 4/5 stars, you hear many things repeatedly. Most say the coffee is good, the machine works well, and they are pleased with their purchase. While these reviews are certainly helpful and encouraging, I always like to dig a bit more to find more exceptional reviews that provide greater insights. Those that love the Ninja Coffee Bar appreciate the fact they can use their own grinds and say goodbye to the pods Keurig machines require. These people usually write more about how pod-based systems are harmful to the environment, creating unnecessary waste with each cup, and they discuss how making coffee with fresh grinds tastes so much better than using pods. There were some negative reviews on Amazon that primarily focused on performance issues. Some claimed that it didn’t heat the coffee as much as they would like, or at times wouldn’t fill the carafe completely. I was impressed that a Ninja Coffee Bar representative appropriately named “John, the Helpful Ninja” responded to each of these negative reviews. In each response, he expressed concern over their situation, offered a possible solution, and urged them to contact a customer service representative directly to help address the issue. That kind of response should encourage any would-be buyer to give the Ninja Coffee Bara try. Both brewers have a modern, sleek look. The Keurig has the typical Keurig-look with the gray smooth lines and the clear plastic water reservoir on the side, while the Ninja Coffee Bar has a more professional appearance and seems higher-end with the ribbed glass reservoir and elevated cup stand. They both will give you a hot cup of coffee, but the Ninja gives greater control over that cup once its brewed. For example, you can use the built-in frother to customize hot or cold drinks into lattes or mochaccinos elevating your coffee experience from standard to exceptional. There is also an “iced coffee option on the Ninja Coffee Bar that creates a much stronger brew so that once it’s added to ice, the result is a true iced coffee, not ice water that tastes like coffee. 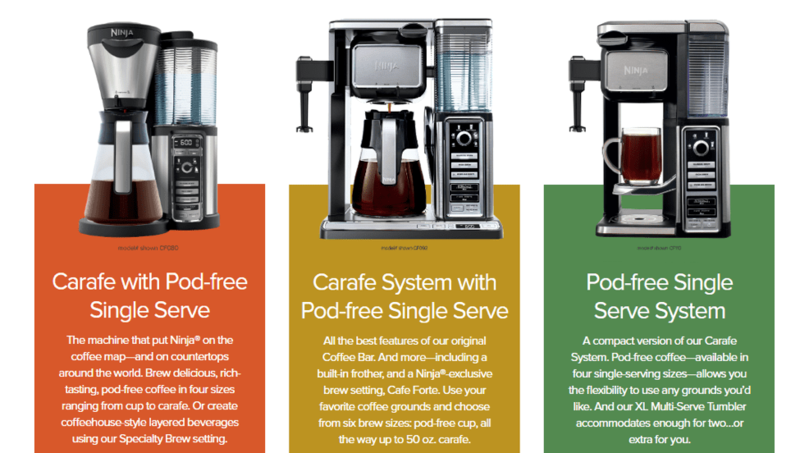 Some coffee drinkers prefer the Keurig because of the pods. They simply want one cup of coffee each morning without the hassle of measuring grinds and using a frother to make a specialty drink. 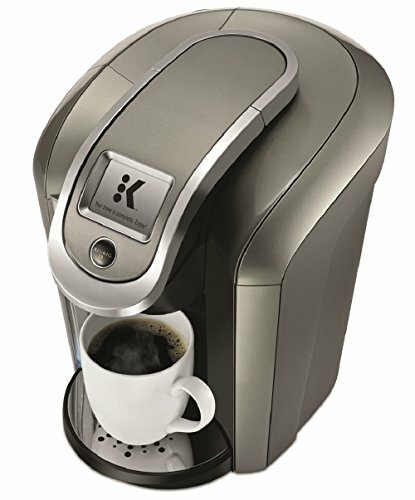 This Keurig is also relatively low-maintenance, and reviewers liked not having to clean filters and frothers before their next cup. It’s important to note that the K575 only works using the new pod by Keurig so if you plan on using older pods, you’re out of luck. I hope this information helped you decide which machine is best for you! Whether you like to keep it simple with a Keurig or try your hand at being a barista at home with a Ninja, you will have a delicious cup of coffee in the comfort of your own home. Enjoy!